You don’t have to sell all your belongings and move to a mountaintop to experience peace of mind. Now you can access “quick pivot” energy tools to bring you back to center — no matter where you are, no matter what challenges you are facing. 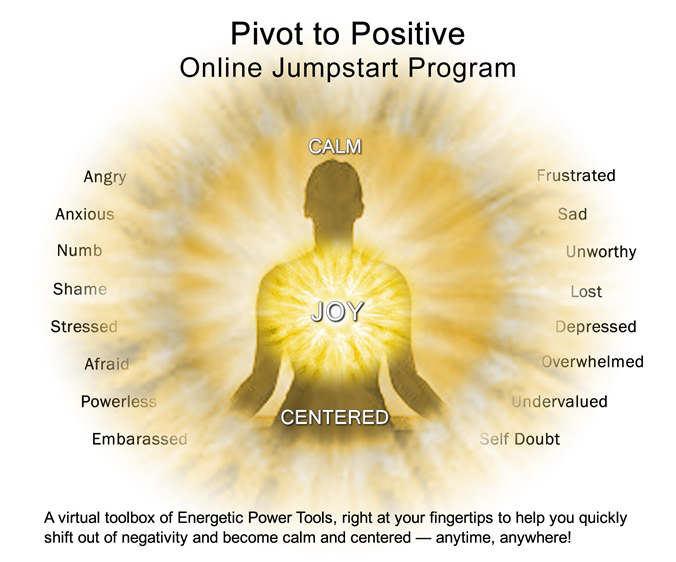 A virtual toolbox of Energetic Power Tools right at your fingertips to help you quickly shift out of negativity and become calm and centered – anytime, anywhere! If what you're feeling is not on this list, send us an email so we can add it. Stimulate your “get up and go” with Shake It Awake, then use the Water Wheel to recharge and store your energy when you are running on empty. Finally, you may want to add a little discernment with The Fountain to improve your choices that got you to a place of burnout. releases tension in your muscles. stimulates a flow of endorphins to give you more energy. Try putting on your own music and doing this practice for a whole song! align your structure so you can connect to both guidance and grounding. Access resources greater than your own personal will and receive support from heaven and earth. replenishes the kidneys which are your reserve tank of strength. circulates energy through your body opening you to new possiblities. allows you to let go of what’s not working so you can focus on what is working. Risk Free: We are 100% confident that after you employ the powerful life changing tools in the Transformation in a New York Minute program, you will be able to quickly shift out of common negative thoughts/emotions that HOLD YOU BACK from where you want to go so you can Rock On! That’s why we invite you to take charge and invest wisely so you can shift now and let Joy be your fuel instead of your goal. Work with this material for a full year, applying the lessons within. If you don’t make your modest investment back after taking focused action as many before you already have, send us a letter that describes the actions you have taken to request a refund. 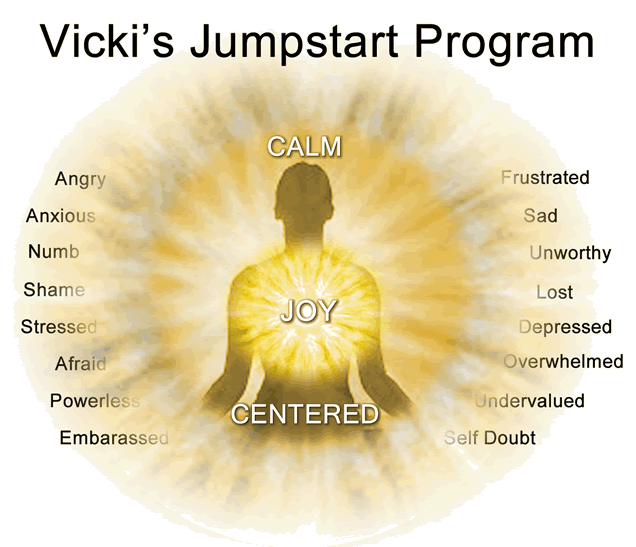 Our Pivot to Positive Jumpstart series of energy practices for shifting out of negativity and returning to center have proven time and again to offer quick results to practitioners. However, they are not intended as replacement for medical treatment in cases of extreme depression, severe panic attacks, ongoing confusion, or any other chronic emotional or physical challenge. Please consult with your Doctor or health care professional if uncomfortable symptoms persist. These energy tools are not offered as guarenteed “cures,” and are not intended to replace medications or other protocols that your physician or therapist may prescribe to treat your symptoms. The practices provided by this site are made available for your personal, non-commercial use only. Please do not provide access to these videos to anyone else, or copy or distribute them in any way without express written permission. These gentle movement meditations are known to be safe. However, you voluntarily assume any and all risks, known or unknown associated with your use of these videos. Vicki Dello Joio and the producers of this online program and associated content are not liable for any injury, health impairment, or accident befalling any viewer using these videos.